And now Serving Hernando County from our new Spring Hill Drive location! Click here to see Spring Hill Homes For Sale right away! 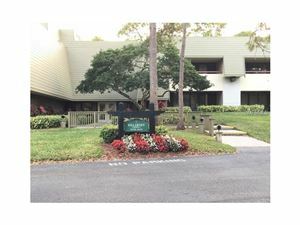 Click here to see Brooksville Homes For Sale right away! Post by Profusion Property Group. Email Info@Profusionpg.com To schedule your 100% FREE BUYER CONSULTATION! Profusion Property Group is proud to be your Local Real Estate connection! The mission of Profusion Property Group is to help our real estate clients reach their goals & exceed their expectations! By doing so, we know our clients won't hesitate to refer us to their closest of family & friends, when they are thinking of buying or selling real estate. Our goal is to be successful in the real estate market while providing the utmost excellence in service to our clients. ProFusion Property Group utilizes proven, professional, state of-the-art technology as well as tried and true techniques specializing in marketing, listing, and selling of new and resale luxury homes, residential communities, condominiums, and commercial and investment opportunities. Believing that future business depends upon present service, the client’s needs are foremost in all our efforts. We will honestly direct and advise both buyers and sellers in this ever-changing market so that both can achieve their goals in their real estate transactions. Profusion Property Group is a creative, innovative, and people-oriented organization providing personal satisfaction and rewarding challenges to all members of the team. With a full-time staff of well-trained real estate professionals who continually strive for improvement, it is our mission to provide the best quality service for our individual clients and customers because we are committed to excellence in all that we do. Welcome to the Profusion experience! Polar Air Conditioning Services, LLC.